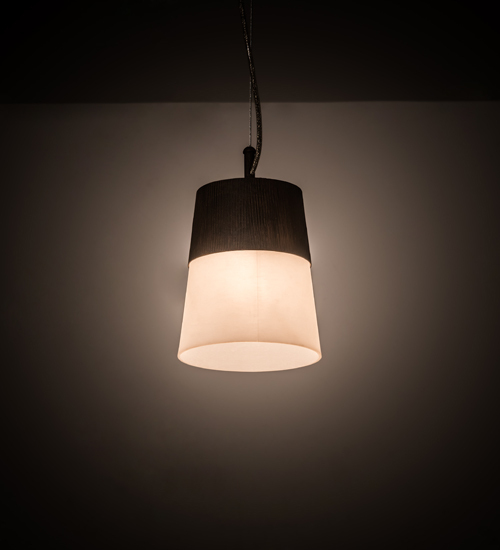 Description: Minimalist styling comes to light with mixed materials in a mini pendant. Cilindro Ibrido features a metal frame that is hand finished in Walnut Wood Grain and embraces a Statuario Idalight diffuser. The overall height of this pendant ranges from 12 to 82 inches as the aircraft cable length can be easily adjusted in the field to accommodate your specific lighting application needs. Handcrafted by highly skilled artisans in our 180,000 square foot Yorkville, NY manufacturing facility. Align this mini pendant in multiples across an island, counter or bar for a dramatic design statement. Available in custom sizes and colors. Dimmable energy efficient lamping options offered. UL and cUL listed for dry and damp locations.